The old man complains once again that he’s dying. The main thing is to speak in monotone reassurance. And we have nothing more to say the rest of the way. Our third or fourth trip to disease harbor, we pray. He teetering to the right and me pulling him back left. 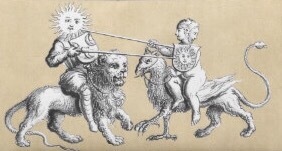 Aged man and his aging daughter jousting the gods.